Democratic control by owners is the bedrock of the cooperative principles. We are member-owned, which means that the Board of Directors are your elected representatives. The Board is charged with maintaining the financial, environmental and community health of the Community Food Co-op. We thank our candidates for offering to volunteer their time and expertise to the Co-op . Member-owners who are current in their annual dues payments and senior members who have shopped in the past year are eligible and encouraged to vote. If you joined the Co-op since mid-February or haven't shopped in over a year you might not be on our 2019 online voting list. You can still vote using a paper ballot at either store . Online voting requires your 12-digit member number, which can be found on the back of your Co-op member card or in the election mailing sent to member-owners in early March. 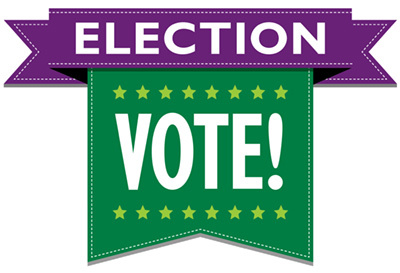 Click on voting guide to learn about the Board candidates. Click on vote to log in and cast your ballot . There are five qualified candidates running for three seats on our nine-member Board. Elected candidates will serve three-year terms.